I've had a few problems over this last month, which has left me not trusting a few people. Some parts are my fault, but it's made me realise that I really am ready to move on from my school. Overall, it's been good for me and I'll really, really miss a few of the teachers, but it's time to move on. I have my sixth form studies set up and am very excited about the next two years, where I can study subjects of my choice, which I'm naturally interested in. My plan is to move into film - production, screen writing or editing - or perhaps journalism. I love to study people and am constantly thinking how something could have been done differently on screen. I've been cutting back a bit on my hours at Oxfam, which makes me feel bad, but I really need to put more hours into my school work. On Saturday's, my art teacher has been opening up the art studio and allowing me to work on my art. I really love these sessions as it's so peaceful and the atmosphere is much more relaxed than in normal school time. My Mum had a meeting in London with Delete Blood Cancer UK, who she's going to be volunteering for. I'm really excited to be helping her and it's really cool that we can recruit from 17 - 55 year olds now. So if you have a work place locally to us, drop Mum an email via her charity email address and she'll let you know more. At the end of term, I had another appointment in London and then, as a treat, Mum and I flew out to New York to meet Dad who had been working out there. He'd been away for quite a while and was working silly hours so it was a nice treat for him to have us there. I was so lucky as Mum and Dad surprised me with tickets to the New York City Ballet where I got to watch them perform Romeo and Juliet - it was breathtaking. We managed to see quite a few of the sights, but nothing got to me like Ground Zero. It was just so sad to read all the names and think about all the people lost, all the lives that should have been. There was one that mentioned 'and her unborn child'. That was really, really sad - that child should be turning fourteen this year, not much younger than me. It really made me think about everything Alice managed to experience and achieve, even though it was still sad to lose her. She was here. 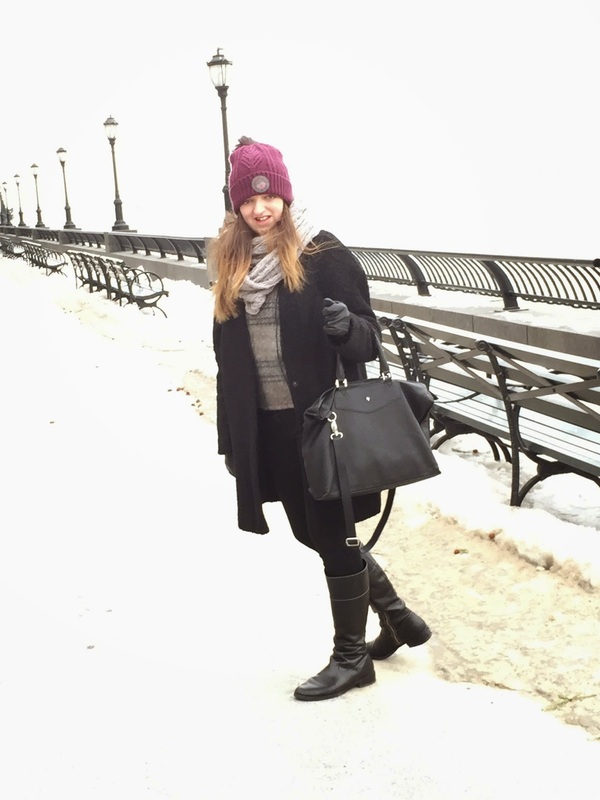 The weather in New York was vile - it was the coldest they've had in years and years. Something like minus sixteen! We visited the Empire State Building and Brooklyn Bridge and saw the Statue of Liberty. We were having such a nice day and then it was all destroyed when my mum realised that her necklace was missing. She was so upset - it was the necklace that Alice had made for her and it had mine and Alice's fingerprints in it. She wouldn't leave the hotel as that was the only place she could get wifi and she knew that she needed to put it on Facebook and Twitter so people could start looking. Although it didn't spoil our trip completely, it was really sad to have to get on the plane home without it. We were only in the States for a few days, but we got to see our old friends, the Marriott's. My mum and Jen are best friends and they hugged and cried for ages when they saw each other. We haven't seen them all for years and it was nice to catch up with the girls. There was loads and loads and loads of snow everywhere - fun for a few days but I'm not sure I'd want to live in it. I got some new Timberland boots which I'm very happy with and Mum got a nice new handbag. When we got back, we couldn't believe how big the story about Alice's necklace had become. It was everywhere and so many people were trying to help find it. It was retweeted by so many celebs and lots of people went looking for it, including a New York running group! Mum went back to her office on Friday and in the afternoon, she got a call to say that a couple had found it. How amazing is that? I don't think she could believe it, she kept repeating herself and then grinning. She'd kept saying that most people are good, so I think she's right. Wouldn't it be a nice world if everyone was like that? So I'm back to school tomorrow for my last half term before I go on study leave. I'm going to try to work so hard and keep my head down because I know where I want to go in life and I know I need the results. I'm not one of those dead clever people who can remember everything, so I do find it quite difficult. Can't remember if it was Alice or my Mum that said 'your best is always good enough', but that's what I'm going to do. My best. HORRAAYYY!! You found the necklace!!! That's brill! And good luck with your studies too! I was so relieved to read on Facebook that the necklace had been found. I hope that its loss didn't spoil your trip too much. I like your style - you look so lovely in your photos. Good luck with the exams, and yes, your best is always good enough. I nearly cried when I read about the nice couple who found your mum's necklace. It's always a treat to have your faith in humanity bolstered. Best of luck on your exams and in the race. I know you will do your very best. I've been a faithful follower of Alice's (and now you) since I learned of Alice on the news a few years ago. I admire your perseverance, and that of your family... You're such a kind, loving, STRONG family and I know that you all carry Alice in your hearts... thus, she will always live! So very excited and happy that the necklace was found and will be returned. XOXO Always! I am so relieved and glad to see that the necklace was found! That's just amazing and completely awesome! Good luck with your exams! So glad the necklace was found and returned! What a loss that would have been. Hang in there with the studies - never easy, but worth it.